Gurnam Singh was 74 years, 3 months	& 5 days old age. Gurnam Singh is a popular Indian Politician who was born on February 25, 1899, in Narangwal, Punjab, British India. The great politician, Gurnam served as the Chief Minister of Punjab for the period between 1967 March to 1967 November. Also, he served the people of Punjab holding the same designation for the period between 1969 February and 1970 March. Most prominently, he was from the Sikhism Centric political party when he got elected as the Chief Minister of Punjab. He ended his ruling period because of the victory of Lachhman Singh Gill. This person became the consecutive Chief Minister of Punjab. As a matter of fact, he was from the Indian National Congress political party. Initially, he underwent the strict law practice in Lyallpur. Consequently, he got the chance to serve the Bar Association as its President. During the occurrence of Partition of Punjab, Singh decided to move into India. 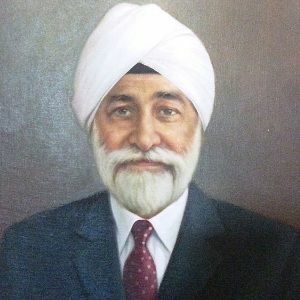 In the year 1950, Gurnam was selected to work as the judge of the Punjab High Courts as well as PEPSU. After the period of 9 years, he got retirement from this designation in the year 1959. In the same year, he joined the party known as Shiromani Akali Dal. Subsequently, during 1962, he got an opportunity to join Punjab Vidhan Sabha as a member from Raikot. Additionally, he also ruled the coalition government of communists, Jana Sangh, and Akali Dal. However, his party was unable to accomplish the full term. Nextly, he also served as High Commissioner of India. Gurnam Singh died on 31-05-1973 in Delhi, India. He died during an accident by air crash.